Viniana Tinaidelanikau uses a cartoon to pack her groceries shopping instead of plastic bag as plastic levy has increased to 20 cents from 10cents from today, August 1, 2018. Photo: Ronald Kumar. With the Government financial year beginning today, there are some revenue policies that would come into effect as announced in the 2018/2019 National Budget. According to Fiji Revenue and Customs Service (FRCS) chief executive officer Visvanath Das, all businesses and commercial taxpayers will be required to declare their assets along with their income tax returns. “This Mandatory declaration of assets does not apply for salary and wage earners,” Mr Das said. The taxpayers will also have to declare any assets paid for by them even if held in any other name. In the 2018-2019 National Budget, the Attorney-General and Minister of Economy Aiyaz Sayed-Khaiyum had announced that the price of plastic levy would increase. This levy will increase from $0.10 to $0.20 per plastic. Also, the Fijian Government is looking forward to a complete ban on plastics by 2020. According to Mr Sayed-Khaiyum, more awareness needs to be created in the Fijian communities on the dangers of plastic pollution and on the alternatives for the next two years to give every Fijian and every Fijian business enough time to prepare for this transition. The rise in the plastic bag levy should discourage the use of plastic bags and promote the use of reusable bags. 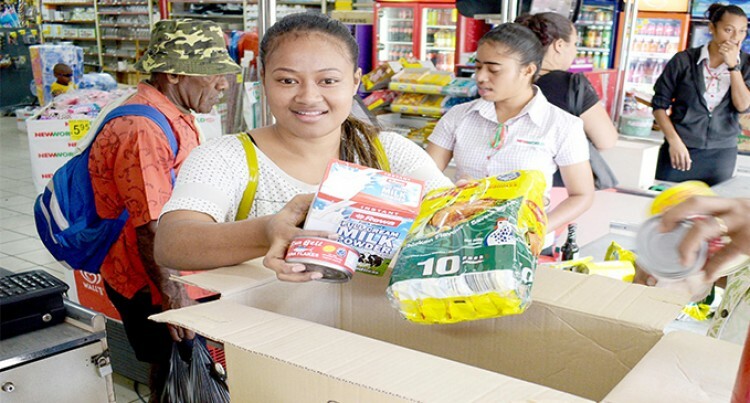 Viniana Tinaidelanikau of Davuilevu housing said using cartons is the best option for her rather than using plastics bags. “I do not use plastics because it cost me money, and it is very hard to carry my groceries,” said Ms Tinaidelanikau. The introduction of the Service Turnover Tax (STT) and Environment and Climate Adaptation Levy (ECAL) will be applied. With a threshold of $1.25 million, which is currently applied for licenced restaurants, bars, clubs, bistros and coffee shops, will now be aligned with all other prescribed services. This will raise competitiveness of smaller businesses and support their expansion. In addition, a new provision will be included to take action against those businesses that fall under this threshold but illegally charge for and pocket false ECAL fees. Taxpayer Identification Number (TIN) registration will be compulsory for every individual in Fiji. The TIN is a unique identifier issued by FRCS to identify all categories of tax and duty payers. The use of a TIN helps FRCS handle queries, trace correspondences and store information for each person that is registered for customs and tax purposes. A TIN is unique to each person to comply with customs and tax legislation requirements such as lodgement of annual income tax returns or the purpose of opening a bank account or renewing Land Transport Authority (LTA) driving license.